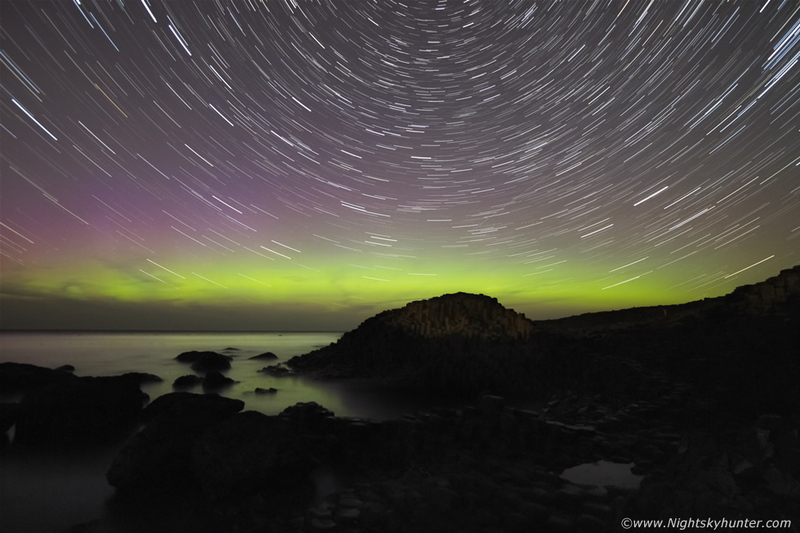 Aurora star trail at 10mm wide angle at the Giant's Causeway on the Co. Antrim coast during a G1 geomagnetic storm on September 9th 2015. This is a combination of 44 x 30 sec exposures stacked together, read the report for more information. *All images are available for sale in the form of photo prints, canvas or digital files for licensing, if you are interested in a purchase simply drop me an email.